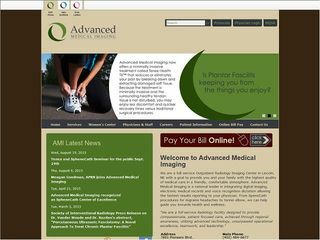 Description: Advanced Medical Imaging Inc is a business categorized under others health services, which is part of the larger category offices of doctors of medicine. Advanced Medical Imaging Inc is located at the address 7601 Pioneers Boulevard in Lincoln, Nebraska 68506-4675. The President is Joseph Stavas who can be contacted at (402)484-6677.